Lemon Tassies are so pretty for Spring. The tassie crust is a cross between shortbread cookies and pie crust. The filling is a rich, beautiful lemon curd that is a lemon-lover's dream. Try the luscious, sweet-tart lemon curd with other things, too- on pound cake, scones, toast, or ice cream. 1. Whisk flour, sugar, and salt together. Set aside. Find your mini muffin tin. 2. In the bowl of an electric mixer, cream butter and cream cheese until smooth and light. With mixer on low, gradually pour in flour, and mix until well-combined. Wrap dough in plastic wrap, shape into a disc, and refrigerate for at least one hour. Dough is very sticky until refrigerated. 3. Preheat oven to 350 degrees. Using scant tablespoons, fill each mini muffin cup with chilled dough and shape up the sides into cups using floured fingers or floured tart tamper. Bake until golden brown, about 10 minutes. If crusts are puffed after baking, gently tamp the crusts down again after removing from oven. Let cool in pan on wire rack for 10 minutes, then remove crusts to wire rack to cool completely. 4. Fill crusts with lemon curd (directions follow), top with fruit or whipping cream as desired, and serve. Refrigerate leftovers. 1. Break three eggs into a medium bowl. Add the 2 yolks. Remove the white stringy things ("chalazae") and discard. Whisk the eggs and yolks until very smooth and well-combined. Set aside. 2. In a heavy saucepan, but not over heat, combine the sugar, lemon juice, and salt. Whisk lightly to combine. Whisk in eggs until well combined. 3. On low heat, cook and stir constantly until mixture thickens and you begin to see an occasional big bubble break through the surface of the mixture, about 12 minutes. Continue to cook and stir for 2 more minutes. 4. Remove from heat and stir in butter, one piece at a time, until all is added. Stir in zest. 5. Let cool and serve. Refrigerate leftovers. Will keep, tightly covered and refrigerated, for 2 to 3 weeks. Cook's notes: The lemon curd filling recipe makes 1 pint, which is more than twice what you will need for the tassies. You could easily double the number of tassies, or just enjoy the extra lemon curd. YUM!!!! They look delicious and are so pretty. Great joining this month for Fill the Cookie Jar! Lemon is such a wonderful and refreshing flavor. It is perfect for spring. I think these would be a hit in my home! Thanks for sharing at the Fill the Cookie Jar Facebook group! These just scream Easter! A delicious lemon sauce is perfect served on pound cake….another Spring favorite! Joy, These look wonderful and am going to be making them soon. They are perfect for this month's Fill the Cookie Jar. I truly love lemon! I even splurged and had a lemon filled donut at Crispy Creme last week and while it was good your lemon tassies look so much better! The lemon curd sounds like it would be best eaten with a spoon right out of the pan! I love lemon curd with a pastry crust. I have made it before with great results. It's a nice dessert for after Easter's entree. So light and refreshing! 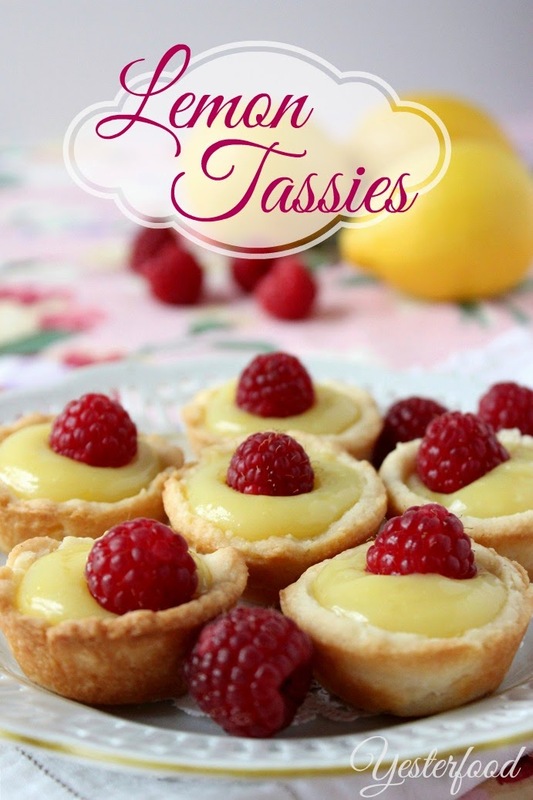 Your lemon tassies look lusciously lovely and almost too pretty to eat! Thanks for sharing this refreshingly sweet treat; perfect for a spring dessert table! Oh Joy, I think I just decided on what's for dessert at Easter! They look gorgeous :) Thank you for sharing. These look delicious! Lately I've been obsessed with lemon curd but haven't made it myself yet. I like your easy to follow recipe! These are so pretty, Joy! My mom would especially love them because she is crazy for lemon desserts. These are beautiful! Love the raspberry topping. Thank you for sharing at What We Accomplished Wednesdays. Have a great week! What size muffin tin? Mini, regular? Oh my yumminess Joy! I love lemon, especially lemon curd, and I cannot wait to try these. They look so delicious and adorable! These look amazing, Joy! Lemon + raspberry is a sure win!! These are so cute! Lemons and raspberries are definitely a delicious combo! These look delicious, Joy. Pinned! Joy these look so cute and delicious. Lovely pictures as always. The raspberries and lemon go together so well. These are adorably cute and I'm sure really tasty! Thanks so much for sharing this post with us at #PureBlogLove link Party! the party starts every Thursday Evening at 8 p.m. EST. I’m hosting over at www.homemadefoodjunkie.com. Can’t wait to see what you bring next week! Yes oh yes - PLEASE! These tassies look so inviting...and I think topping them with raspberries was the PERFECT idea. Thanks for sharing with us at Weekend Potluck. These look so yummy! Featured this week on Funtastic Friday. Thanks for sharing. Hope to see you again this week. Joy, these lemon beauties look scrumptious! My mouth is watering! :) Visiting from Tasty Tuesday. Pinning and wish I was downing a few of these. Thanks for sharing. So yummy and cute looking! Thanks for sharing! Pinned! 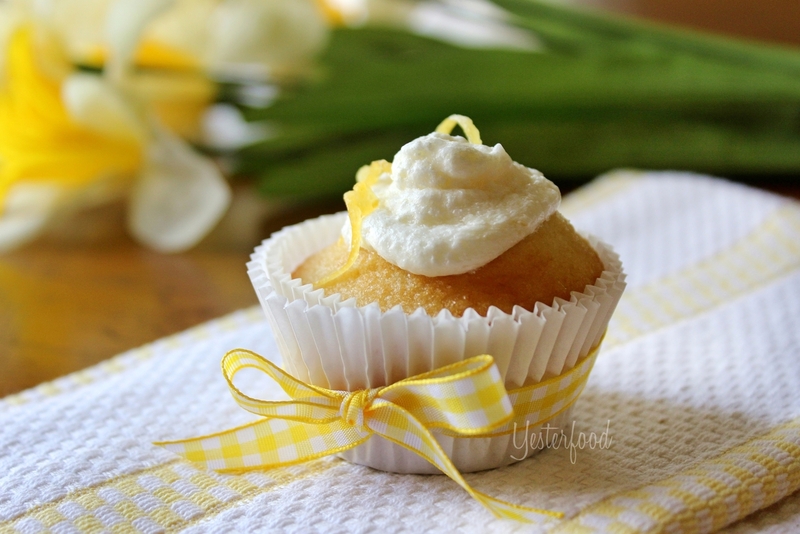 I love lemon desserts, these are so pretty and sound wonderful! Thanks for sharing at What'd You Do This Weekend? I hope you will join us again this Monday morning! What gorgeous tarts, Joy! They really are perfect for spring! I'm pinning them to my Afternoon Tea board on Pinterest. Love your homemade lemon curd as well. Thank you so much for being a part of the Hearth and Soul hop. What a gorgeous dish! Thank you so much for linking up at Tasty Tuesday! Your recipe has been pinned to the Tasty Tuesday Pinterest board! Please join us again this week! Looks delicious, lovely lemonony treat, thanks for sharing with Hearth and soul blog hop. pinning. tweeting and sharing with google plus. These look absolutely delicious Joy! Wish I could try one now! Pinned and shared!